There was no post here on the blog last week, so I have fallen a bit behind again. As you'll see in the monthly round-up, it's not for lack of work; on the contrary, it's been too much work, I've been reviewing a lot. All I need to do is double up one week, though, and I'm back on track--and that should hopefully be easy, since I have four new releases (two Louis Malle, a Satyajit Ray, and the most recent Eclipse set) waiting to be watched. Comic Con is also coming, so you may see me scrambling yet again in not too long. Who all is going to the big show this year? Be sure to stop by Tr!ckster, there is much to be done and seen, including a Criterion sponsored event celebrating Kurosawa and raising money for relief in Japan. I'll also be part of Symposium 5, a ticketed event, so plan on going to that now! * 13 Assassins, samurai slaughter from Takashi Miike. * Beginners, Mike Mills' exploration of mortality, love, and depression will catch you off guard. Naturally quirky and moving, it stars Ewan McGregor, Christopher Plummer, and Melanie Laurent. * Green Lantern. You will believe that space can be realllllly boring. And Earth. And everything else. * Larry Crowne. This weekend, you can watch cars transform into robots, or you can let Tom Hanks transform your cold, dead heart into something living again. Your call. * Midnight in Paris, everything old is new again in Woody Allen's delightful return to form. * Submarine, a quirky, heartfelt coming-of-age drama set in Wales. * The Tree of Life, in which Terrence Malick wrestles with the universe, the All Father, and all fathers. * The Trip, Steve Coogan on a very funny roadtrip with his pal Rob Brydon. Directed by Michael Winterbottom. * X-Men: First Class: Hey, man, that's a groovy mutation, but the movie's kind of a piece of crap. * BLAST!, a science documentary about sending a telescope up into the sky on a balloon to look at the stars. * Carancho, an Argentinian twist on crime and romance, from the people who brought us Lion's Den. * The Cocoanuts, yuck it up with Los Bros. Marx in their 1929 debut. * Despair, a Vladimir Nabokov adaptation from writer Tom Stoppard and director Rainer Werner Fassbender, starring Dirk Bogarde. And it's as weird as that combination would suggest. * Eight Iron Men, a WWII variation on the "chamber room drama" that never quite takes off. From Edward Dmytryk and Stanley Kramer. 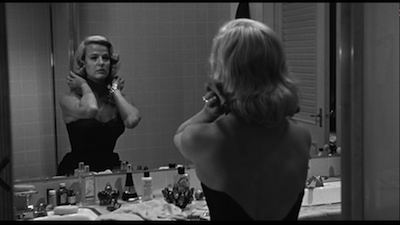 * The Goddess, Paddy Chayefsky wrote this thinly veiled portrait of a Marilyn Monroe-type actress, played by Kim Stanley. Interesting, if not entirely successful. * Laila, a silent Norwegian epic from 1929. * Man from Del Rio, starring Antony Quinn as a Mexican sheriff in a racially progressive 1950s western. * The Man in the Net, starring Alan Ladd, directed by Michael Curtiz. Read the review that one fan called "a classic example of...uninformed arrogance" and inspired him to suggest I "take up something else to while away your time or attend a junior college film class." * Marriage Italian Style, a strangely dark, yet intriguing, romantic "comedy" from Vittorio De Sica, reteaming Sophia Loren and Marcello Mastroianni. * Never Apologize, Malcolm McDowell's one-man show in remembrence of director Lindsay Anderson. * New York, New York, Martin Scorsese's notorious 1977 musical mash-up of new and old styles, starring De Niro and Minnelli. * Public Speaking, Martin Scorsese's documentary about author Fran Lebowitz. Engaging and funny. 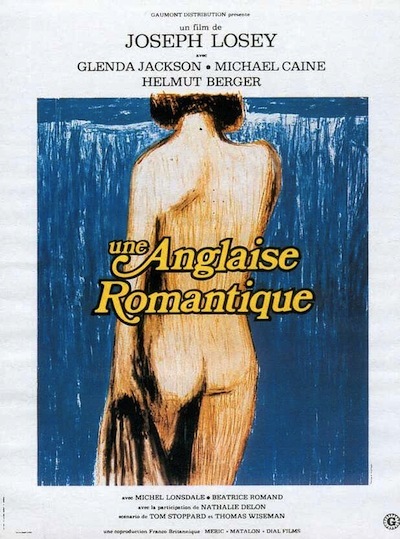 * The Romantic Englishwoman, Joseph Losey directing a Tom Stoppard script about Glenda Jackson's aching loins. And Michael Caine yells a lot. * The Sacrifice, a beautifully remastered new edition of Andrei Tarkovsky's final film. * Spectacle: Elvis Costello with...Season 2, a second go-around with the maestro. 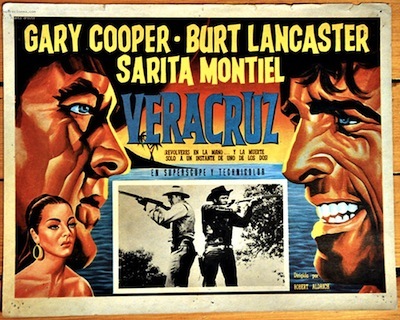 * Vera Cruz, Burt Lancaster and Gary Cooper shoot up Mexico in a film by Robert Aldrich. * Who Took the Bomp? Le Tigre on Tour, a concert documentary about the influential feminist punk band. The DVD includes a ton of great bonus features. * Yesterday, Today and Tomorrow, a trio of themed stories from director Vittorio De Sica and actors Marcello Mastroianni and Sophia Loren.